Metal plaque lists iron melts and foundries built. 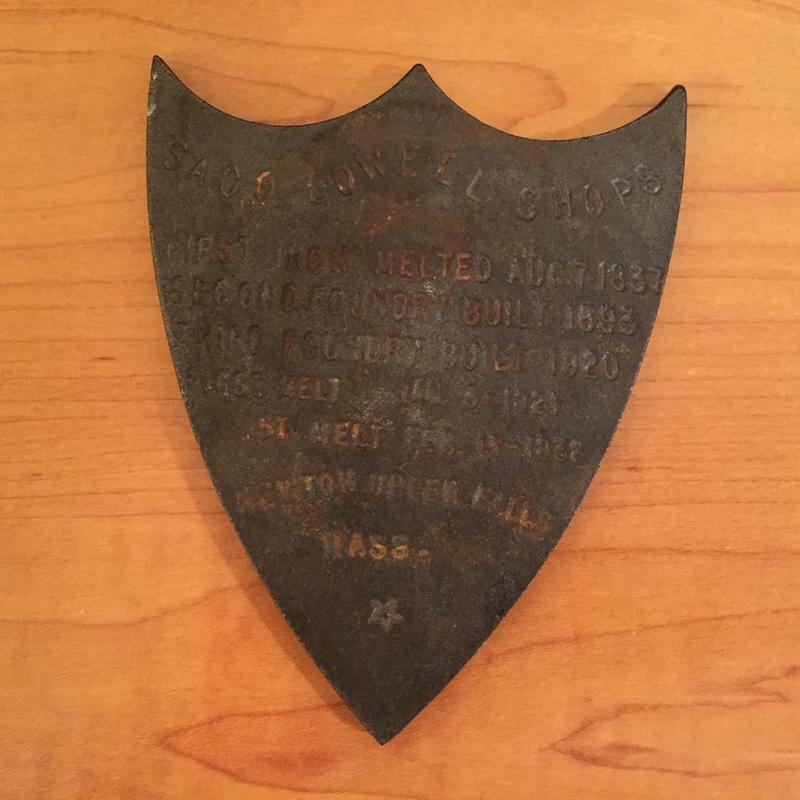 Other information on the plaque is "Saco-Lowell Shops" and "Newton Upper Falls Mass." According to Wikipedia, the Saco-Lowell Corporation manufactured textile machines and was among the largest of these manufacturers in the US. At one time it had an executive office in Boston MA and a southern office in Charlotte NC. Three pages of company history (also available on-line) are included with the plaque. Plaque is 4 3/4 by 3 3/4 inches. We've made no attempt to clean this piece.